JU Admission Test Result 2018-19 has been published & found here. 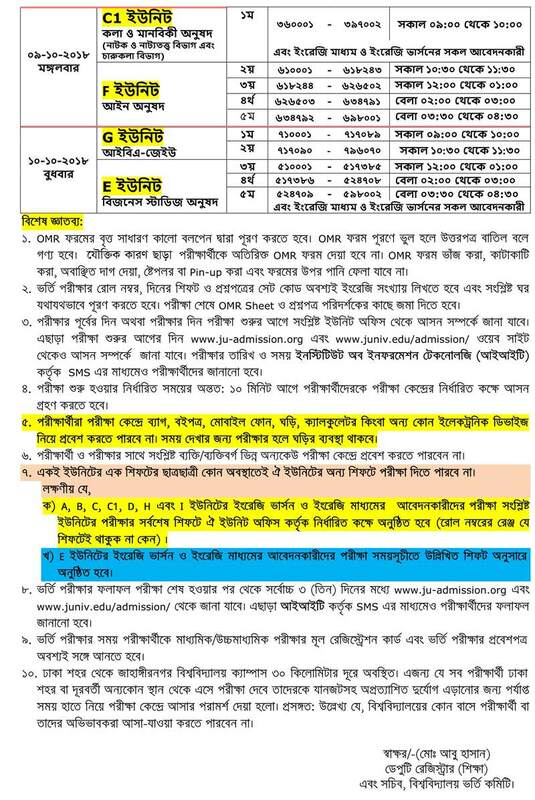 JU Admission Test Detailed Seat Plan & Routine 2018-19 has been published & found here. 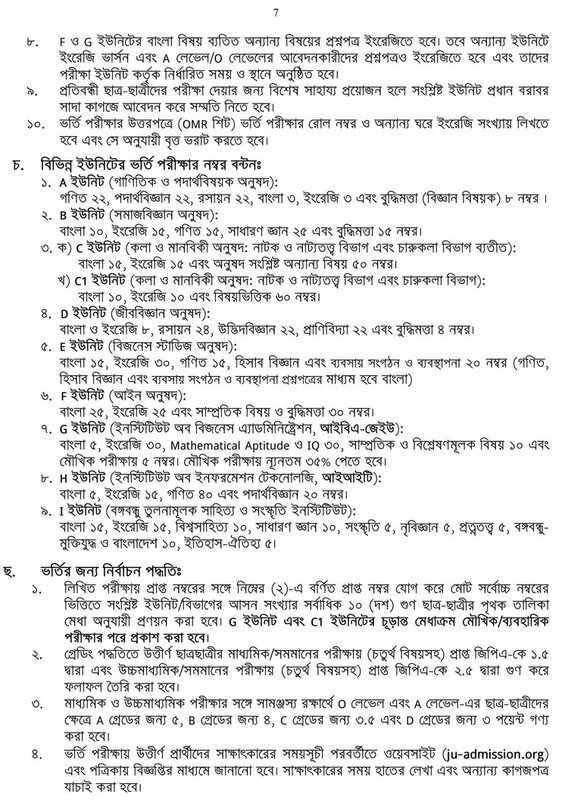 Jahangirnagar University (JU) admission test 2018-19 was held from 30 September to 10 October 2018. Jahangirnagar University All Unit Admission Test Result 2018-19 Published here in due time. JU Online Admission Application starting from 17 August 2018 and end on 16 September 2018. 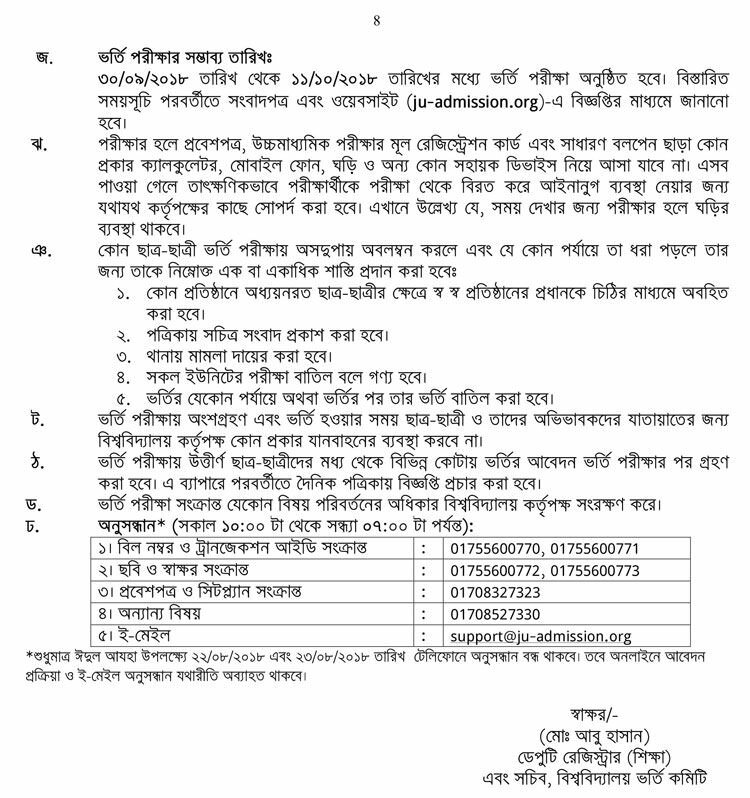 Jahangirnagar University Admission Test Result has been published & found here. 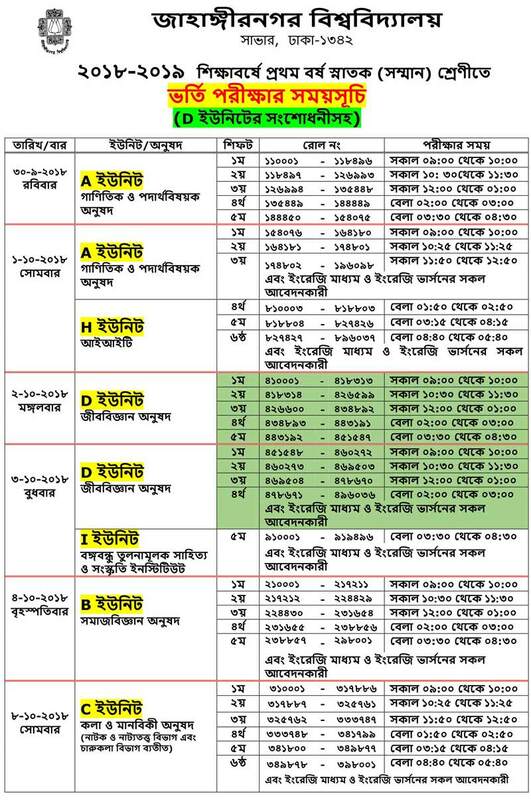 The admission test of Jahangirnagar University (JU) for the first year honors academic session 2018-19 under 8 different units i.e. A, B, C, D, E, F, G & H. from 30 September to 10 October 2018. 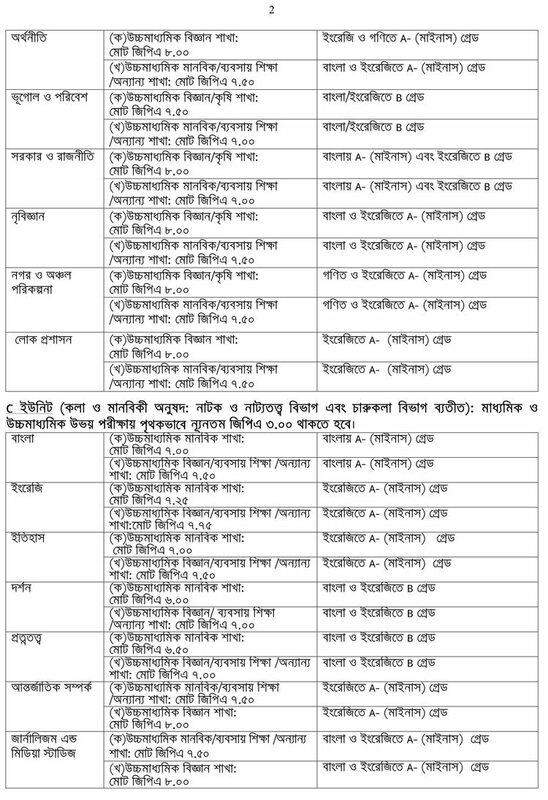 Jahangirnagar University All Unit Admission Test 2018-19 was held on 30 September to 10 October 2018 under 8 different units i.e. 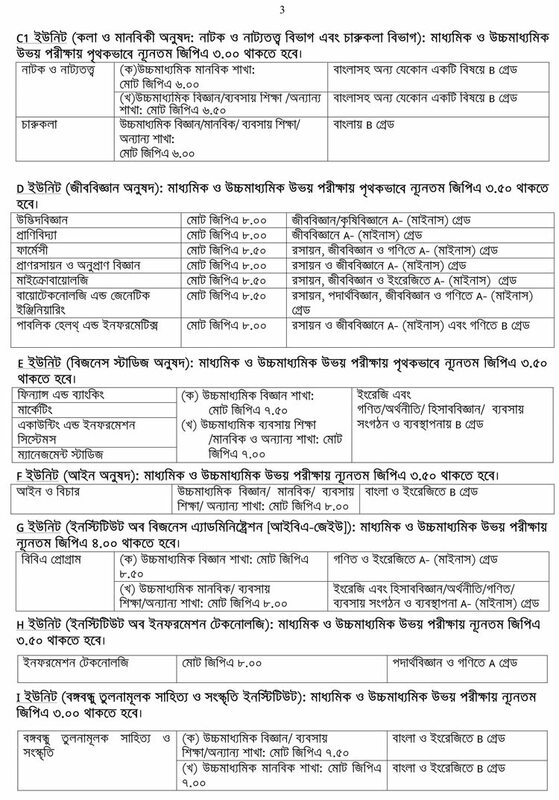 A, B, C, D, E, F, G & H.
The admission test result of all units of Jahangirnagar University has been published & found here.